Garry MacLennan receiving last year's Young Gamekeeper of the Year Award from Fergus Ewing MSP on behalf of winner Callum Low at the GWCT Scottish Game Fair at Scone. 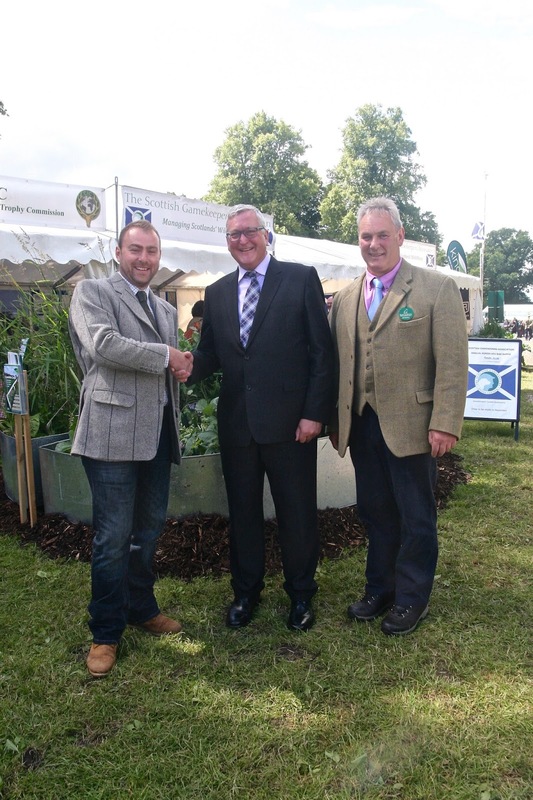 The SGA is calling on all senior gamekeepers, college lecturers and employers to nominate candidates for the 2017 Young Gamekeeper of the Year award, by June 16th 2017. Each year the organisation recognises an exemplary youngster in their chosen field of management on hill, river, low ground or forest. The candidate can be on placement or in early years employment and must be nominated to be considered for the award, one of the most prestigious in the sphere of game and wildlife management in Scotland. Please send your nominations to info@scottishgamekeepers.co.uk with your candidate's name, why you feel they are deserving of the award and your own contact details. We are also seeking nominations for the 2017 Ronnie Rose Award, by July 21st 2017. The Ronnie Rose Award is for individuals nominated by peers for long service and lasting contributions to conservation or education in the undertaking of game management duties. All nominations should be sent to the above email address, with your candidate's name, why you feel they are deserving of the award and your own contact details. 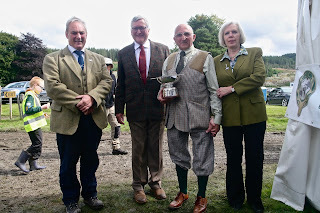 Proud winner Sandy Reid with the Ronnie Rose Award at Moy Highland Field Sports Fair in 2016.